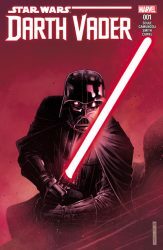 I’m not a huge fan of many of the recent Star Wars comic titles that have been coming out faster than they can be printed, but I was thoroughly impressed with the new Marvel comic Star Wars: Darth Vader. Find out why I think it is worth taking a look at after the jump. It is a rare occasion that I find a comic that I think is worth reading and fills in important story line that fits with the movies so well. I’m going to keep this as Spoiler-Free as possible, but I will give some important details as to what this issue is about. So, here it is.. 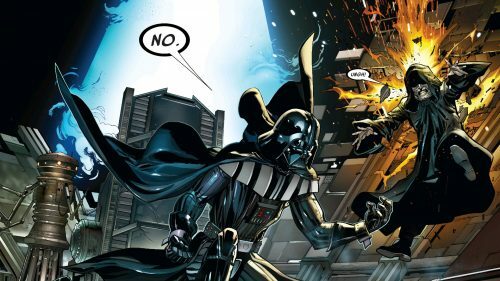 It is important not to mistake this for the previous Darth Vader comic that ended its run sometime last year I believe (yes, I know…it confused me too). This story literally picks up almost right where Revenge of the Sith leaves off. Remember the famous, “Noooooooooooooooo!”? Well, it picks up RIGHT from there. The answer to your question is, Yes. I literally heard that sound clip in my mind when i read the first panel, and I’m sure you will too! It expands upon the scene where Vader loses it and starts crushing and damaging things by throwing Emperor Palpatine with the force. 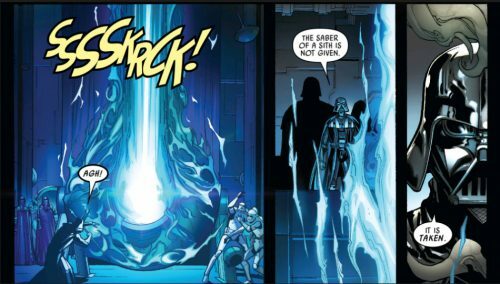 Of course, Palpatine doesn’t let this go and he promptly zaps Vader with some Sith Lightning telling Vader to defend himself with his Lightsaber. Oh, but wait…his saber was taken by Obi-Wan. Palpatine extends his blade to Vader’s head and lets him know that Lightsaber belonged to someone else who is no more, and also let’s him know that even though he considers them to be friends, he will end him if Vader touches him with the force again. Vader is given the choice to use the gift of pain Padme gave him…or Die. You get an awesome back and forth with a huge gathering featuring Mas Amedda and ALL the Lightsabers from the fallen Jedi Knights (including Yoda’s). As Vader and the Emperor look on from above, Mas destroys the weapons with some molten-type stuff and there is a HUGE explosion of light throwing him back. The issue basically ends with Palpatine dumping Vader on a planet, weaponless, where he originally left him a ship that seems to have been stolen. Vader learns a lesson that the Emperor could have given him any Kyber from those weapons, even Yoda’s…but a Sith must take his Kyber. Vader is now on the hunt for a Jedi to get his Kyber crystal from. He finds the ship that was stolen…and it is an interesting scene for sure. I think this comic actually looks promising. 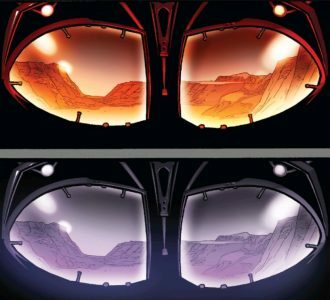 I know many people enjoyed the Doctor Ahpra aspect of the other Vader comic, but I like how this is actually expanding on a story we know and giving us details we haven’t learned yet. Like where did Darth Vader get his Sith Lightsaber? 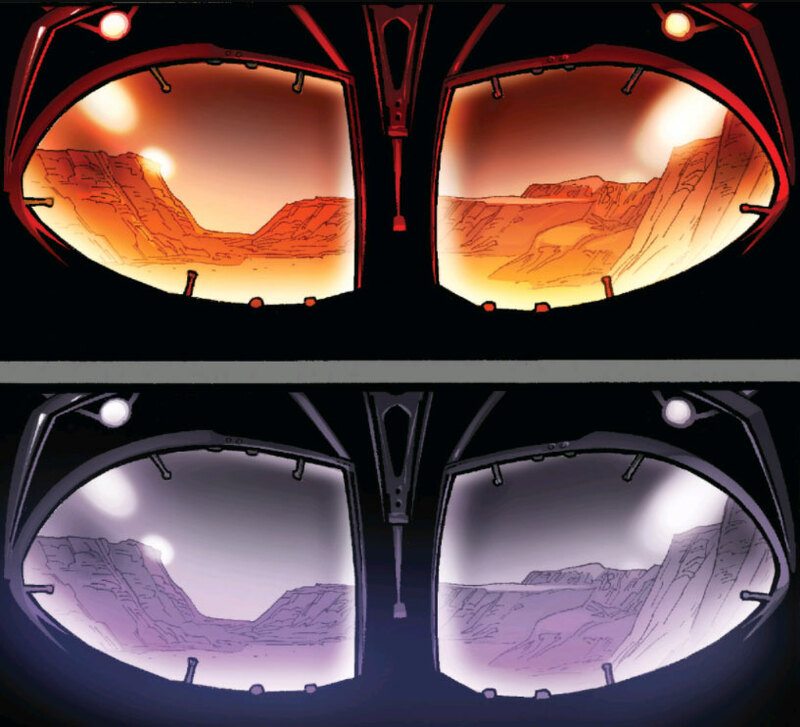 Why are Vader’s lenses Red sometimes and not other times? Palpatine also explains why Sith have red sabers and how they make them like that. All in all, this was an exciting issue in my opinion and I am looking forward to part two and seeing how and who becomes Vader’s first Jedi victim in his brand spanking new leather getup. What do you think? Does this sound interesting to you or are comics just out of the question. If you read it, did you enjoy it or was it lacking? Let us know in the comments below!